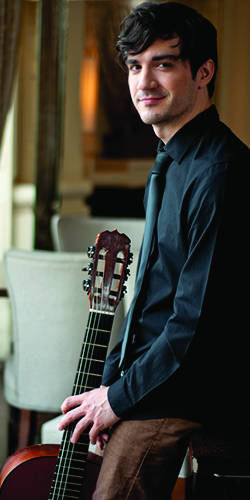 Considered by Performance Today as one of today’s “one of the top young guitarists of his generation,” Astral Spotlight Artist Jordan Dodson makes his Chamber Orchestra debut displaying the beauty of acoustic and electric guitar. Joining him is COP/ACF’s Steven R. Gerber Composer-in-Residence and Philadelphia Composer Andrea Clearfield as she premieres her new work for electric guitar. This concert is a true representation of COP’s philosophy of preservation through evolution – historic, fresh, fun, innovative…The Chamber Orchestra of Philadelphia.